We offer custom plans to provide the personalized care our customers need. With one yearly fee or an easy monthly plan we take care of scheduling and maintaining your equipment. When it’s time for an inspection, we’ll send you a reminder. On the day of the inspection, our technicians will examine your system using a list of standardized checkpoints to insure they don’t miss anything. They will correct minor problems immediately before they can develop into big problems that compromise the safety and efficiency of your equipment. 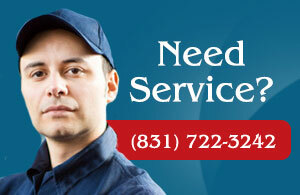 Call us at (831) 722-3242 for a free estimate and maintenance plan that will work for you!